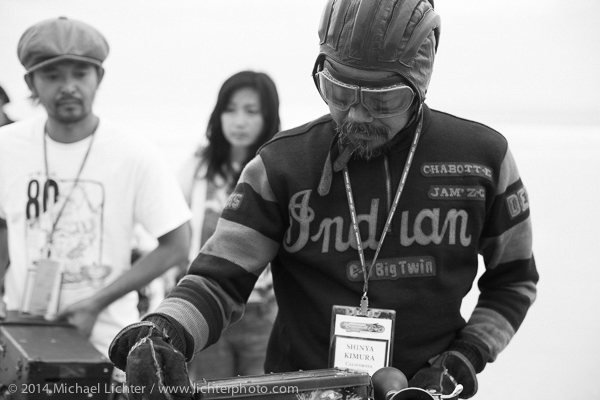 Shinya Kimura and with teammates Yoshimasa Niimi Ayu Yamakita on the sands of Daytona Beach just before the start of the Motorcycle Cannonball. Stage 1 of the Motorcycle Cannonball Cross-Country Endurance Run, which on this day ran from Daytona Beach to Lake City, FL., USA. Friday, September 5, 2014. Photography ©2014 Michael Lichter.